Let’s face it – while many nurses thrive in the high-pressure environment of nursing in hospitals and emergency rooms, there are some nurses who don’t enjoy these environments – and are looking for an alternative place to work. Well, there’s good news. RNs have plenty of job opportunities outside of hospitals. So whether you’re a newer nurse seeking a change of pace, or are just curious about other specializations available to you as an RN, read on! We’ll go over the top 6 nursing jobs that aren’t in hospitals, and discuss each one. If you like taking care of patients, but aren’t a fan of the hospital environment, home care nursing may be a fantastic career for you. This is the perfect time to get involved in the industry, too – it’s estimated that 1.3 million jobs will be added to the home care market by 2020, due to the aging population of Baby Boomers in the US. Because of this, home care agencies are often quite happy to snap up even newly-graduated nurses. If you have an RN, you’re qualified for most home care positions – even if you don’t have much experience in a hospital setting. Hospice nursing is a bit more specialized than home care nursing. Depending on your state (and the facility you’re interested working in) you may be required to be certified by The National Board for Certification of Hospice and Palliative Nurses. However, job growth in hospice centers is slated to grow over the next several years, so this is an excellent field for new nurses who have a great bedside manner, and can communicate effectively with friends, family, and patients who are going through very difficult times. Rehabilitation centers and skilled nursing facilities (SNFs) are often in need of qualified RNs. These facilities are somewhat similar to nursing homes but offer much more extensive medical services. Often, people admitted to SNFs are in the process of recovering from a major injury or medical condition, such as a stroke, serious bone breaks and injuries, or even simply interim medical care after a hospital stay. Feel like going back to school? Being a school nurse is definitely a great option for any nurse who doesn’t enjoy the stressful environment of a hospital. And despite what you may think, school nurses do much more than just check temperatures and administer Band-Aids! School nurses are responsible for taking care of children with diabetes, special needs, and other medically-concerning conditions. 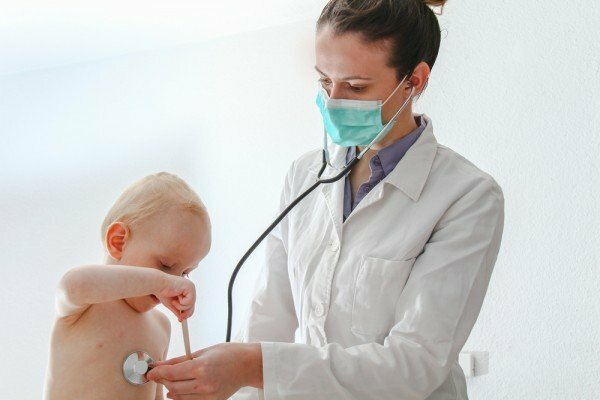 One drawback is that most school nurses aren’t paid as well as hospital nurses – but you also get a steady, daily schedule with summers and major holidays off. So if money isn’t a big issue for you, school nursing may be a fantastic choice for you! If you’re comfortable working with criminals, corrections nursing is certainly a viable career path. Corrections nurses are responsible for administering healthcare to inmates in prisons, long-term detention facilities, county jails, and even mental institutions, in some cases. And though some nurses may rule out working around criminals, most corrections nurses find that inmates at jails and prisons are respectful and accommodating – especially if their lives or their health are on the line. Corrections nursing is certainly not low-stress, but if you are interested in truly making a difference, even among people who are often ignored, it’s certainly a viable career path outside of a hospital. If you’d like to work an office job that takes advantage of your medical knowledge, the health insurance industry is a great choice, and there are a variety of different specializations that RNs can choose in the health insurance industry. You could specialize in performing physicals for the company, perform clinical chart reviews to determine medical necessity, or work on case management. You’ll be able to work standard, 9-5 days with weekends and holidays off, and the pay is quite comparable to other nursing fields. Generally, around 1-2 years of clinical experience are preferred for RNs who wish to work for health insurance companies, but this is not always the case. Sick Of The Hospital? Check Out One Of These Nursing Specialties! Now, there’s no way around this – most nurses are going to have to spend at least a year in a hospital or another acute care facility before they qualify for these nursing jobs. However, if you still feel like the hospital isn’t the place for you, these 6 great nursing jobs are a fantastic alternative to continuing on in your current hospital. So check them out, do a bit of digging, and see if one of them is right for you!